The GSA Boahen-Wilks Article Prize recognizes and highlights scholarship on Ghana that demonstrates rigor, innovation, and dynamism. For the 2016 prize, we received a total of 11 submissions that included both self-nominations and a few external nominations. We were pleased to receive papers from history, anthropology, art history, sociology, political science, international relations and safety science and want to continue to encourage this kind of diversity in nominations, as well as to encourage nominations for interdisciplinary scholarship. The competition was keen and our discussions lively, but we agreed that the winning article is emblematic of the kind of innovative and meticulous scholarship that is placing studies on Ghana at the forefront of African Studies as well as within the respective disciplines we represent in GSA. 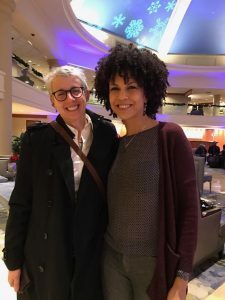 The GSA is proud to announce that the 2016 Boahen-Wilks Article Prize has been awarded to Ebony Coletu and Kendra Field for their co-authored piece, “The Chief Sam Movement, A Century Later”, in Transition, No. 114, Gay Nigeria (2014), pp. 108-130. This eloquently written and methodologically innovative article brings Ghana studies into a broader discussion on historical methods, the history of African American migration to Africa, family histories, and historical memory. It breaks new ground in the study of the early twentieth-century back to Africa movement by offering a fresh take on Chief Alfred Sam’s African movement, which has been understudied and overshadowed by the literature on Marcus Garvey, and, secondly, by bringing pan-African activism in the Gold Coast and the Diaspora very concretely into one analytic space. By widening their investigative lens beyond Chief Sam to include those who hosted, traded, and otherwise interacted with members of the movement in West Africa, Africans emerge as engaged participants in the immigration question rather than as passive bystanders acted upon by diasporic Africans. The rich and compelling narrative, including first-person descriptions by the authors, demonstrates the capacity for intellectually charged articles that remain accessible to a broad readership. 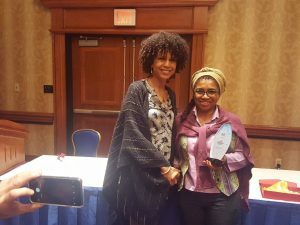 This year we decided to give an honorable mention to a close runner-up: Cati Coe and Serah Shani’s, “Cultural Capital and Transnational Parenting: The Case of Ghanaian Migrants in the US” in the Harvard Educational Review Vol. 85 No. 4 Winter 2015. Coe and Shani collaborate to produce a well-researched and carefully-analysed article that explores the experiences of Ghanaian immigrant families negotiating community building, education, and culture in the U.S. and in Ghana. Significantly, the authors take familiar narratives about transnational parenting and problematize and extend a seminal concept in sociology; they argue convincingly that cultural capital is not the preserve of the economically privileged, and that its form and value can change over time and geography.